Enjoy a long weekend spent in one of Door County’s most secluded locations! 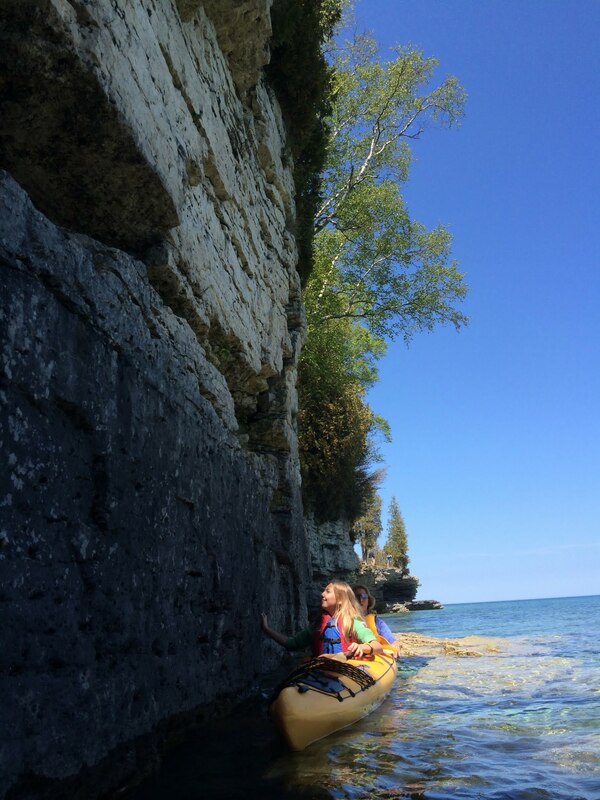 On this trip you will sea kayak from Washington Island to Rock Island, where no cars or motorized vehicles are permitted…here you will camp for three days and two nights. While also circumnavigating the island by boat, taking a tour of the historic lighthouses and enjoying gourmet meals prepared by our professional guides! This is a trip for all skill sets, beginner to advanced! Kayak from Washington Island to Rock Island on Friday and circumnavigate Rock Island on Saturday! The price includes all necessary paddling gear, three days of professional kayaking instruction, camping equipment, gourmet meals, and instructor-guide gratuity. Since we only paddle traditional sea kayaks – call if you have questions about bringing your own boat. The meeting place is Jackson Harbor on Washington Island. Please note that the Washington Island Ferry has a fee – visit their website for more information! We will send out a confirmation letter, gear list, and itinerary upon registration! Register online using the Book Now button. You will receive a confirmation letter, gear list, and itinerary upon registration.